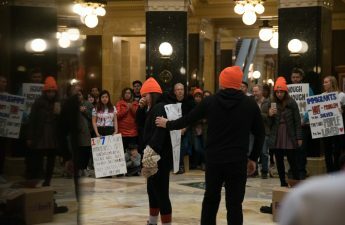 In an event honoring the life and message of Martin Luther King, Jr., several University of Wisconsin students spoke about activism and social justice at a panel event Monday night. The panel, moderated by Black Cultural Center graduate student intern Emerald Rutledge, included counseling psychology doctoral student Laura Minero-Meza, Wisconsin Union Directorate cuisine committee director Sydney Weiser, Student Services Finance Committee Rep. Zaakir Abdul-Wahid and First Wave scholars Eneale Pickett and Simone Williams. 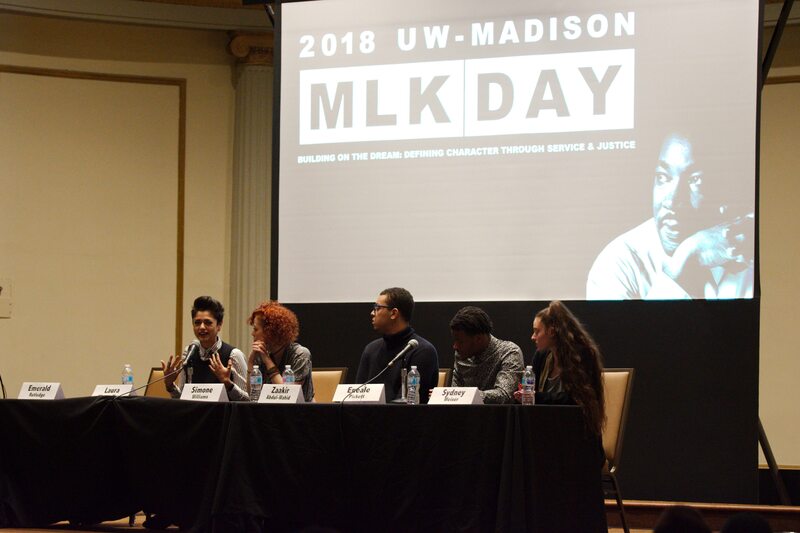 The panel was the closing event in UW’s 2nd MLK Day celebration, which was titled “Building on the Dream: Defining Character through Service and Justice.” Art projects, service opportunity workshops and social justice dialogues, in addition to the student panel, were held throughout the day as a part of the celebration. The keynote panel focused on the personal activism of the panelists and their approach to advocating for social justice, especially in light of the Trump presidency, which has been widely perceived as hostile to underrepresented and marginalized populations. Major topics included the importance of self-care in activism, practicing genuine intersectionality and deconstructing internalized stigmas. In one part of the discussion about shifting from “call-out” culture on social media to “call-in” culture, Minero-Meza shared a personal story in which after posting a photo from a pro-DACA protest on her Facebook, a photographer aggressively and repeatedly insisted she had “stolen” his picture without attributing credit to him. Minero-Meza, an undocumented immigrant, said the photographer was perpetuating a stereotype about immigrants — that they were out to “steal” things from Americans. She brought this to the attention of the photographer, who she said was eventually receptive to her remarks after she framed the interaction as a learning experience for both of them, rather than simply calling him out. 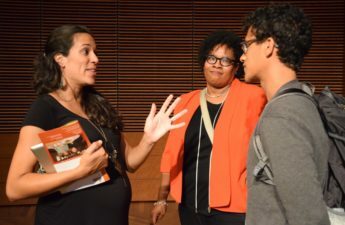 Minero-Meza said this interaction represents what she believes could happen if people talked through instances of aggression with those who have offended or oppressed them, rather than being solely reactionary. 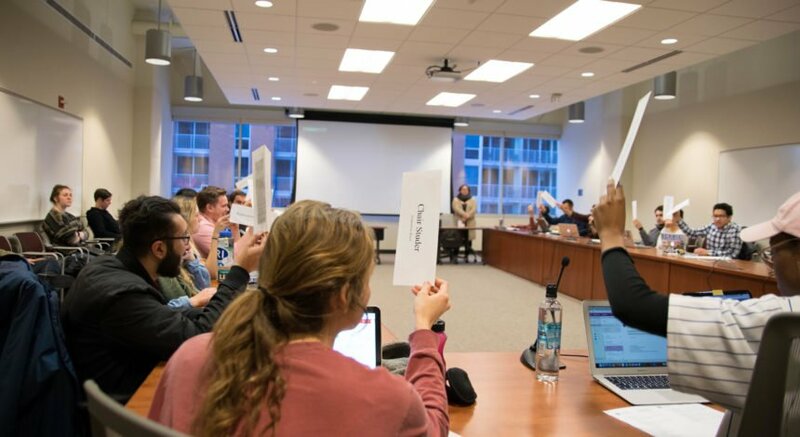 In some instances, however, Abdul-Wahid said the onus can’t be on the marginalized individual to patiently discuss instances of aggression or prejudice with the oppressor. For example, if a queer person attempts to engage in a discussion with a homophobic person, Abdul-Wahid said that discussion could easily derail into something unproductive and harmful. In these cases, he said strong and proactive allyship is essential, as he believes it is easier and possibly more productive for a straight person to discuss their peer’s homophobia with them. Other panelists echoed similar sentiments about self-care and the importance of saying no when one needs to. Keeping in the vein of social justice, the panel also discussed the importance of intersectionality in activism and reflected on their own struggles with being intersectional. These emotional handshakes, Williams said, signify they are there to listen, and be vulnerable with someone. 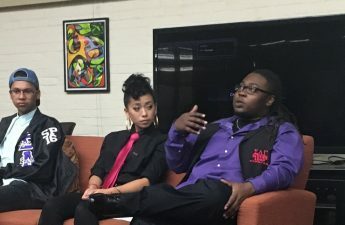 Williams said vulnerable discussions are equally as important in social justice as marches and rallies, especially when it comes to being intersectional. 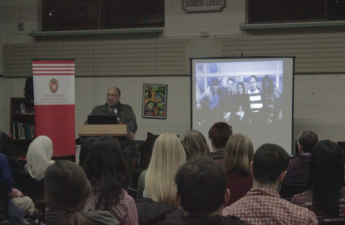 In the final moments of the discussion, the panelists reflected on their own journeys in social justice and activism. 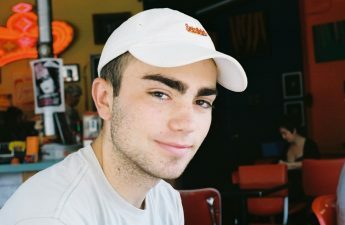 Pickett, the founder of Insert Apparel, said he would have told his younger self to not be afraid of being wrong, as he journeyed from the person he was in high school to the “very different” person he is now at UW. Minero-Meza and Weiser both stressed the importance of self-care and self-love in the fight for social justice. Minero-Meza said the work can be exhausting, and Weiser emphasized the importance of sleep and basic bodily health above all. Rutledge closed the panel by leaving the audience with a quote from Coretta Scott King, Martin Luther King’s late wife, who said inclusive and intersectional activism is necessary for the liberation of any and all oppressed groups. “If we do at any point find that our justice work comes at the cost of another marginalized group of people, and upholds these larger systems of oppression in any way, crossing the finish line of liberation will never be achieved for any of us truly,” Rutledge said.